We as physicians must see the patient across from us as our own selves, and the heart-filled compassion that develops from that is a force all its own. 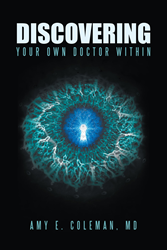 In “Discovering Your Own Doctor Within,” Dr. Amy E. Coleman shares a collection of true patient encounters over a 3-year time span that uncovers and reflects the sacred relationship between patient and physician. Dr. Coleman says doctors are often encouraged to see more patients an hour than is healthy for either the doctor or the patient. What is missed is the true story behind the symptoms, which, if given time to surface in an environment of trust, can save thousands of dollars on unnecessary labs and imaging. Dr. Coleman says that patients will have much more success in finding their truest form of wellness when they follow their intuition and invest in a doctor that allows their best self to come forward, not just the doctor assigned to them under their insurance umbrella coverage for primary care. By Amy E. Coleman, M.D. Dr. Amy E. Coleman is the CEO and founder of Wellsmart, a company that cultivates technologies and healthcare strategies that strengthen the patient/doctor relationship. She served as a United States Air Force flight surgeon, and was appointed the youngest and first female Commander of the U.S. Air Force Special Operations Clinic. There, she helped guide global medical missions and build creative clinic systems, including those employing complementary care methods still employed today throughout the Air Force.